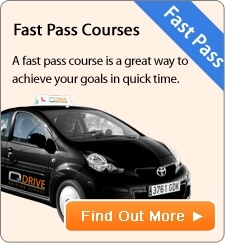 Our Fast Pass course will allow you to block book lessons and tailor a programme to your needs. Our learner driver programme has been specifically designed using the latest DSA teaching techniques to ensure you reach the test standard faster. The use of simple diagrams and full explanations, targeted to your driving ability, helps learners to remember new driving routines and techniques quickly and efficiently. All progress is carefully monitored, we provide our learner drivers with a record of their driving development, so you know exactly when you will be ready for your test. Your driving instructor will take you through all the ups and downs of the driving test. Instructors are skilled to adapt teaching methods to suit your learning style. Each instructor is local to your area, so they are very familiar with routes the DSA examiners may use. We use only high grade driving instructors who have excellent teaching methods. We can help you decide how many lessons you need through our initial assessment lesson. If you have driven before we will take you on an assessment lesson to assess your level of driving. From there we can calculate how many lessons you are likely to need to get you up to test standard. We also give you access to our free learner driver programme material to get you learning faster. Another advantage of this course is you will save money. Block booking your lessons in advance means you will get to take advantage of some great discounts. You'll even get a full refund for the hours you don't use. How many lessons should I have in a week? We usually recommend two 2-hour lessons each week, as we find that this works best for most people. But it's entirely your decision and we'll fit your driving lessons around your life as best we can. Contact Q Drive now for an 'introduction session'. When you contact QDrive, we'll find out about your driving experience and learning style to assess how many lessons you'll need in total. Then we'll take you out for an assessment lesson with one of our experienced DSA approved Driving Instructors. Your both agree on a suitable course and then you're on your route to a successful driving life. Block book your lessons in advance to take advantage of some great discounts. You'll get a full refund if you don't need to use them all. Fast track your way to a full UK Driving Licence. We now provide driving lessons in Birmingham, Solihull and Redditch.